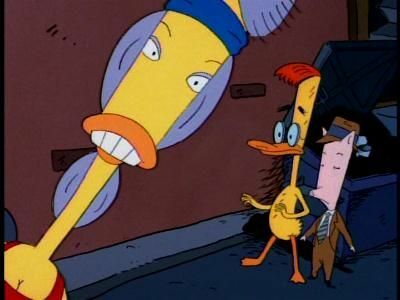 Duckman isn't your average suave, sophisticated private eye. 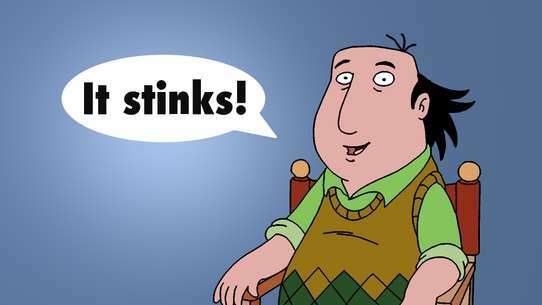 In fact, he's rude, ignorant, slovenly, and hasn't had a date in years. 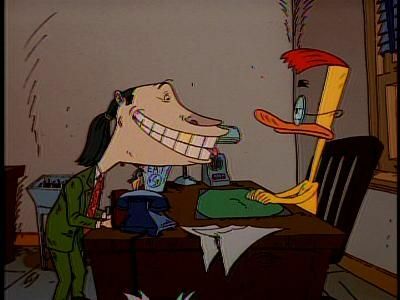 With the help of his infinitely more capable sidekick, Cornfed, Duckman manages to solve enough cases to cover his alimony payments and cable TV bills. The family goes on a dream holiday camping trip. At the park, they run into Fluffy and Uranus who are also on holiday. 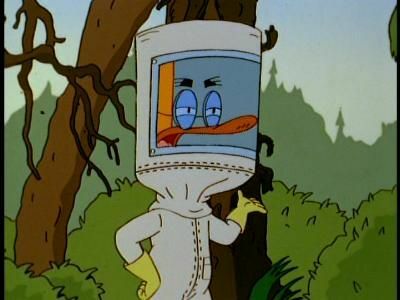 However, Duckman quickly puts them to work and gets himself banished from the campground. He takes Fluffy, Uranus and Cornfed with him off into the woods, but bees sting the accompanying trio. Cornfed's head swells and an allergic reaction causes Fluffy and Uranus to grow to gigantic proportions and become homicidal. Hearing Duckman's screams, Beverly and a reluctant Bernice go to the rescue leaving entertainer Jim Bailey keeps the boys and Grandma-ma entertained. In a send-up of the Paramount franchise, Eric Tiberius Duckman, captain of the starship Enterprise matches wits against the evil Khan Chicken. 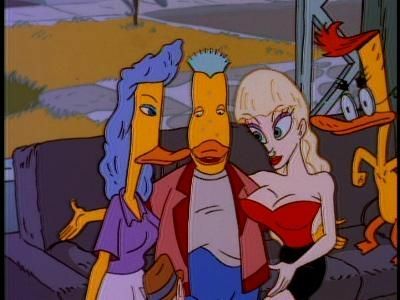 Duckman and the gang travel to San Francisco to attend Dickcon 97. He thinks he is being honored with an ""achievement"" award. When he gets there, he encounters an old rival from detective school. The rival is running the event and takes every opportunity to humiliate him. One of these methods involves an attempt to find a kidnapped Cornfed. 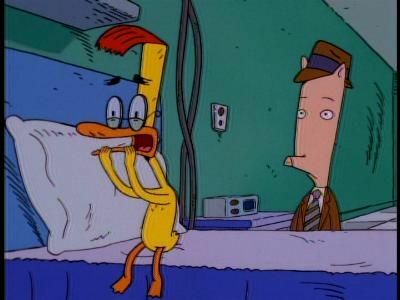 Duckman needs a new kidney. To get one requires a donation from a blood relative. He searches for his father, who he thought was cryogenically frozen. Instead he discovers that the man he thought was his father, wasn't. Using the power of the Microsoft Network (Blatant Plug! ), the twins and Cornfed find where dad is currently living. 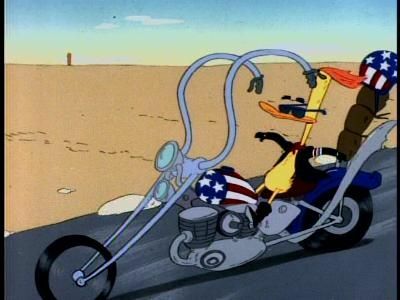 Duckman and Cornfed travel there, only to find that his is a paranoid schizophrenic who's formed his own country. Cornfed invites Beverly to join him on a trip to his Aunt's catfish ranch. Duckman, jealous of Cornfed's interest in Bev, tags along for the ride. After getting the ranch hands fired, Duckman and the gang must help the foreman, Big Jack McBastard, on the big catfish drive to Texas. On part of their drive involves crossing ""Hell's Toilet,"" where ""the days are so hot they can boil your brain and the nights are colder than David Caruso's film career."" 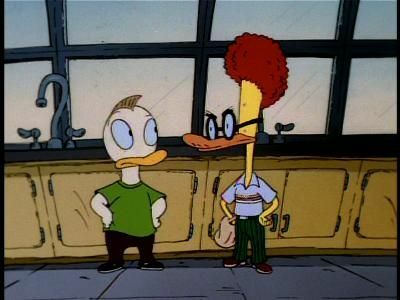 After Duckman accidentally kills Big Jack, they are on their own. 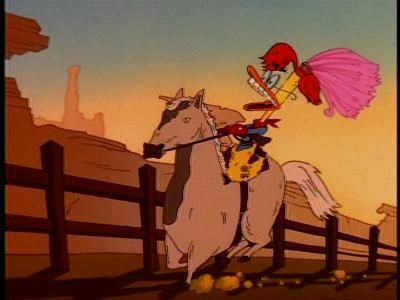 Duckman, in search of his free clock radio, takes the family out to the desert. 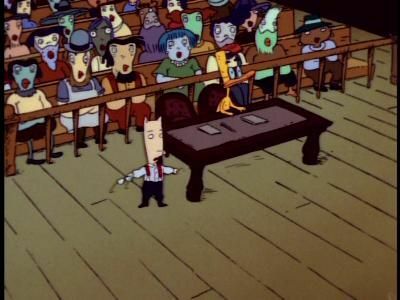 They wind up in a small town where ""King"" Chicken is the sheriff and Duckman is put on trial for being a heretic. Duckman sells his identity to the Variecom corporation for $1000, which he immediately spends. Unable to use his own name or image, he is left penniless. 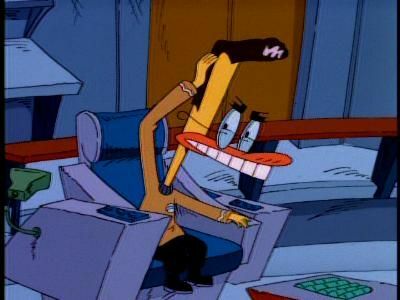 He even tries to become a Duckman impersonator, until he is ""downsized."" Then he conceives a plan to get his self-respect and identity back. Meanwhile, Cornfed leaves to rejoin the 80's band A Flock of Seagulls. 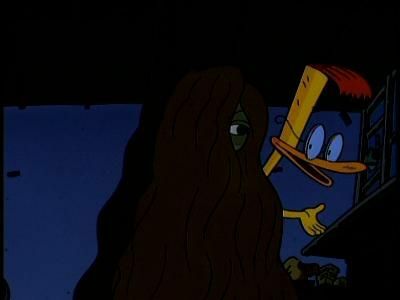 Cornfed undergoes analysis and relates this tale about Duckman seeing the ghost of his uncle who says that Duckman's father was murdered by King Chicken. Duckman hangs with Bernice and King Chicken while pretending to be crazy. 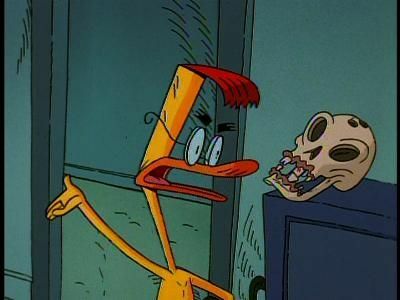 Cornfed realizes that Duckman is living out the plot of ""Hamlet,"" that will eventually lead to Duckman's death. Duckman backs his car into a cute girl in front the house. 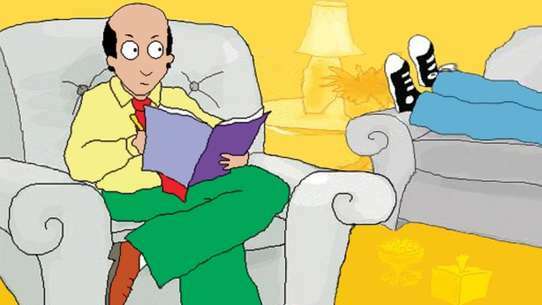 Finding out that she is on her own, Beverly and the family invite her to stay; however, Beverly becomes the victim when Tami tries to takeover a have a ""perfect family."" 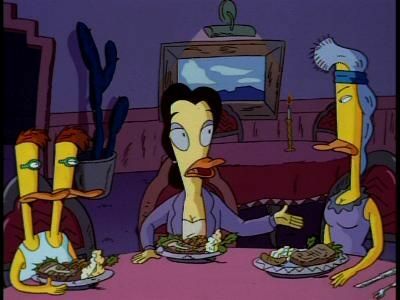 Cornfed along with Charles and Mambo prepare the ultimate aphrodisiac for Duckman to turn his love life around. They give him a limited amount of the potion, but he quickly replicates it in huge batches. Now he has more woman than he can deal with. Bernice discovers what is going on and demands that he stop. 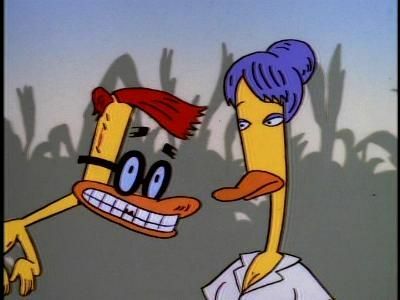 When the real thing occurs between Duckman and actress Courtney Thorne-Smith, no one believes him. Mambo is caught with a cigarette in his mouth; Bernice takes action in Congress. A tobacco company CEO invites her and the family to enjoy the hospitality of the tobacco industry. When Bernice won't change her position, they are put to work picking tobacco. Rescue seems hopeless, until Agnes Delrooney, reveals that she has been hiding out as Grandma-ma all this time. 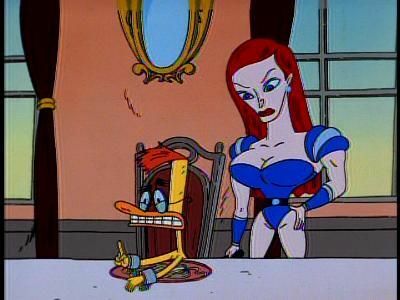 She makes an escape, with Duckman handcuffed to her. After the city gets attacked by one of Duckmans over-inflated dolls, the city decides to have an emergency drill where all the residents go underground till the drill passes. Duckman fails to know about the drill and has a city-wide 'party' (involving mass destrution) while all the residents are gone. 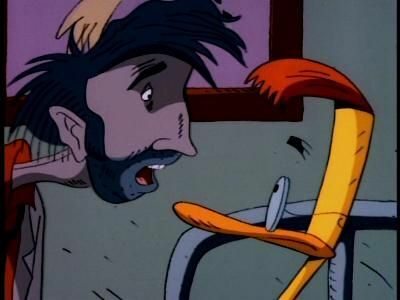 Eventually the residents return to chase Duckman out of town. Charles and Mambo are in love and look to Duckman for advice. He tells them a Bridges of Madison County-esque story of how he and their mother met and fell in love. 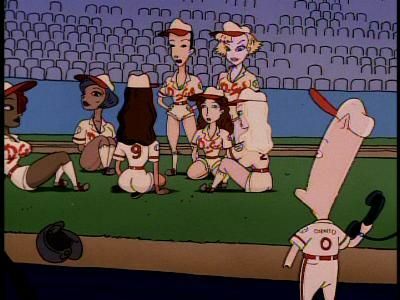 Duckman inherits a minor league baseball team as the dying wish of the owner who is trying to keep the team from hands of a banker. To boost attendance he stages a series of stunts, that humiliate and scare the players into quitting. He ""hires"" nine super-models to take their place and they are an instant success. Cornfed teaches them the fundamentals of baseball and they become a great team. The banker institutes a scheme to prevent the supermodels from winning the big game and Cornfed discovers his other scheme on the Internet in the newsgroup alt.villians.greedy-schemes. Duckman quests for friendship when Cornfed is the only guest at his surprise party. He begins hanging out at a coffee shop that is filled with a group of twenty-somethings named Ditzi, Bobby, Sassy, Pete and Marion. Together they discuss their ""problems"" a la Friends with a side of Ellen. 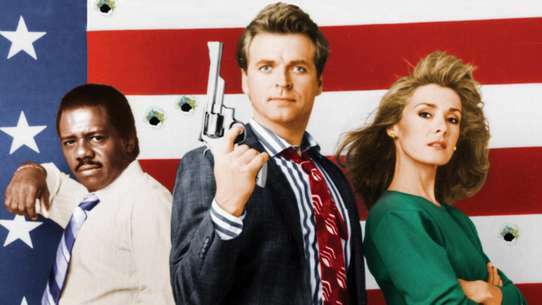 The Duckman detective agency, the only agency not affected by the nationwide detective strike, becomes the focus of TV show American Dicks who are looking to solve their 100th case. 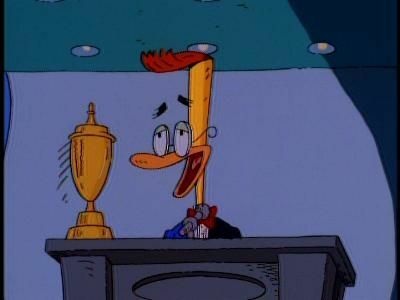 Eventually, Duckman gets a case; the mission is to find the mayor. 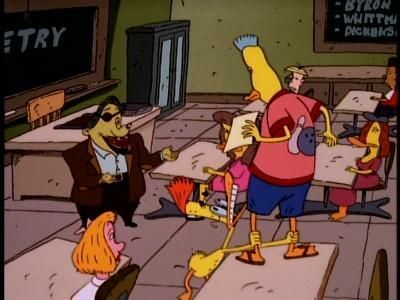 Duckman receives a letter from the IRS. 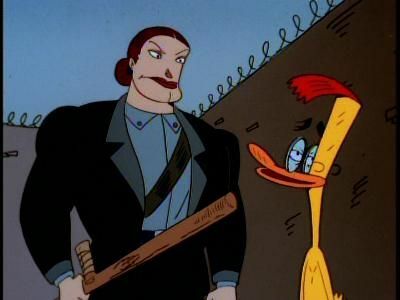 The IRS agent is tough and Duckman is given 24 hours to pay $29,587.42 in back taxes. 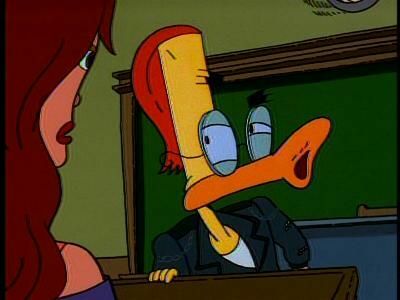 After asking his family for help and being rejected and lectured, Duckman tries anything. When he can't raise the funds, he and Cornfed go on the run and then on the road. Bernice falls for the IRS agent who's staying at the house waiting for Duckman to call. Ajax is abducted by redneck aliens and taken to a planet where Duckman is praised as a deity and Ajax revered as ""The son of Dod."" 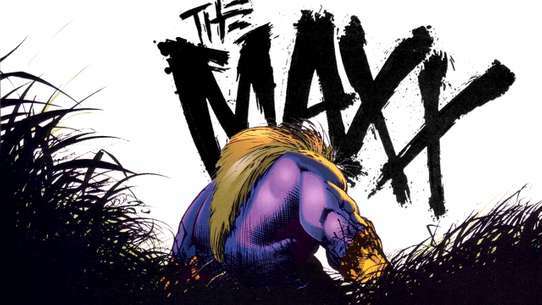 Ajax's natural talent for poetry makes him popular. Duckman gets him signed to a contract for a job creating greeting cards, but Ajax isn't happy with his new occupation. 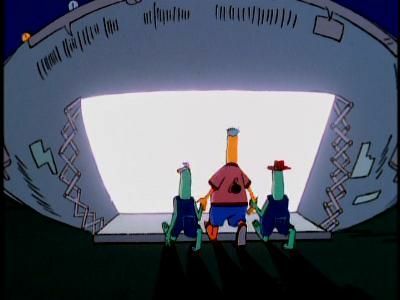 Duckman takes the family and the staff on a holiday to a real Indian reservation, with a casino. 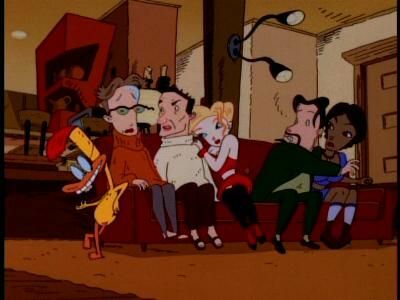 While there, a psychiatrist notices Duckman and the rest of the family's overall self-destructive behavior. She offers them treatment that involves a role-playing session that uncovers some of their real issues.